For e-wallets, the withdrawal time will not exceed one day. Special adaptation allows access games straight from their phones and tablets. Those gambling from laptops and portable devices will need to use the download, as this is the only option provided by the platform. All games are powered by Real Time Gaming – a legitimate and experienced software developer. More than half of the registered players leave positive feedback about the games and services. The iNetBet online casino was launched in 1999 and has a gaming license issued in Curacao. It is managed by Internet Gaming Services, a fully licensed and legitimate Nevada-based provider. All games and services are available in English, and the target audience is in Europe. The majority of incoming traffic comes from the USA, Germany, the Netherlands, Australia and Norway. The website has non-responsive design, so to gamble from portable devices, owners of smartphones and tablets can use the mobile adaptation. Link to the software or the alternative QR code are provided on the homepage. While the desktop version has more than 100 games, the mobile mode allows to select among less than thirty releases. Portable devices are the only way to access instant play, because a download is the only option for those who play from stationary computers. Without a login, visitors can see an overview of the game library and a list of promotions. To use the full services and win real money, wanderers need to register. From mobile devices, registration can be completed online, and from desktops, it is done while installing the software. Only US dollars are accepted. To deposit and withdraw money, customers can use a set of e-wallets, several debit and credit cards, as well as bank transfers. As for e-wallets, in addition to the commonly used Neteller, Skrill and EcoPayz, clients can select EziPay or OKpay. Entropay is also added to the traditional set of Visa, Maestro and MasterCard options. 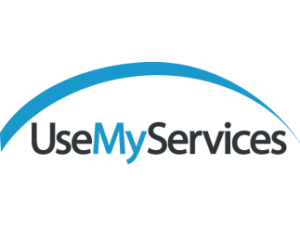 UseMyFunds is among the available bank transfer services. There are no withdrawal limits. The operator promises to pay within one day for e-wallets, and will take from six to eight days to transfer wins by bank check. The non-payment risk is relatively low, and does not exceed 18%. Mar 2022 0 0 2 A $3000 withdrawal has been declined because the player had multiple accounts, deposits returned and accounts deactivated. Apr 2013 1 0 3 Player is complaining about extremely poor customer care he received at INetBet Casino. Apr 2013 0 0 2 Deposit of $50 has been lost due to money processor issues. Mar 2013 0 1 0 Player received a withdrawal of $450 after a 25 hour wait. Jan 2013 0 1 0 Player says that INetBet Casino pays within 24 hours or less. Jan 2013 0 0 2 Player misread the rules of the promotion and ended up being unable to withdraw his winnings of $26 to the Neteller account. Dec 2012 0 0 2 Casino claims that the player has multiple accounts with the same IP. Dec 2012 0 0 2 Player has been unable to get paid because the documentation he has to provide is still incomplete. Oct 2012 0 1 0 Player received a cashout 2 days after providing all of the necessary documents. Jun 2022 4 0 2 Player complained about an unfair bonus amount that was supposedly not equal to the one from a promotional advertisement. Dec 2012 0 0 3 Casino is not paying because a player is suspected of having duplicate accounts; support will not provide any details except a list of accounts. Aug 2022 0 0 2 Withdrawal has not been paid after waiting 1 week. Apr 2013 1 0 3 Customer support takes too long to answer the questions that are being asked through their web form on the site. Apr 2013 1 0 3 Player complained about very slow customer support. Mar 2013 4 0 2 Casino software crashed right when the player started to play, website was down. Feb 2013 1 0 3 Customer support is answering questions selectively, based on the topic of the question. Mar 2022 0 1 0 Player won over $300 on his first deposit of $20 and was paid out very quickly after providing his ID. Jan 2013 0 0 2 A $600 withdrawal is not being paid due to a withdrawal method issue: it has to be the same as the deposit method but the player used an EZ Voucher to deposit. Nov 2012 0 1 0 Player says that the payment at INetBet Casino is very fast. Nov 2012 0 2 2 Player says that INetBet Casino is getting slower about processing withdrawals lately. Oct 2012 0 0 2 Due to the address being incorrect a withdrawal of $800 was significantly delayed after numerous verification requests in order to prove a new address. Oct 2012 0 1 0 Player says he is always paid within the advertised terms at INetBet Casino. Jun 2012 0 0 2 A cashout of $2026 has been significantly delayed without any particular reason. Dec 2022 0 0 3 Customer support was very rude to a player. Aug 2012 1 0 3 Player says that INetBet Casino has no live chat and the support is very slow. This gambling destination is highly valued online. The review from CasinoMeister features the status “Accredited”, and the rating 8 out of 10. It is also approved at LCB, which rates iNetBet at 4 out of 5. Reviews from registered members are positive in more than 50% of cases. The selection of games and the quality of software are the features appreciated the most. The percentage of complaints is relatively low, and 36% of the negative feedback is caused by issues with support via live chat. Based on statistics, most problems are resolved by e-mail. Another way to contact the representatives is by phone. Codes: Each offer requires promo codes, which are available in the chart below. Cashable: Bonuses can be cashed out under one condition – that the wagering requirements are completed. Promotions: Sign-up, cash back deals, high-roller offers, and coupons for different cohorts are among the regular deals. Game Contribution: Arcades contribute 100%, slot machines and table games count up to 100% towards wagering requirements. Video poker contributes from 67% to 80%. There are several sign-up offers. A 50% match up to USD 500 is a standard promotion with easy wagering requirements of 20xB. Everyone can also double their money by claiming another match bonus – 100% on the initial deposit. Fans of slots can receive a 200% match strictly on reeled machines. The no-deposit bonus is a special promotion available from our review page. It consists of USD 15. The bonus must be wagered 20x before it becomes cashable. We also ensure another exclusive promotion, free spins. Their amount may vary, but the rollover requirements are only 25x the wins. Entertainment is powered by Real Time Gaming – an old, reputable, and highly favored software developer. There are more than 100 games available, and new releases are added on regular basis. The library includes games of all types, and the selection will satisfy the needs of gamers with different preferences. Video poker games are represented decently with more than ten variations. This means that, in addition to the standard Jacks or Better, All American and Deuces Wild, gamblers will be able to bet on Loose Deuces, Pick’em Poker, 7 Stud Poker and more. Among table games, there are several variations of blackjack, and users can also bet on baccarat, Caribbean series, Three-Card Poker, and a few other games. Roulette, Craps and Sic Bo are also available. There are scratch cards and Keno among the arcade selection. Slot machines offer a diverse range of classic and video reels, including 7’s and Stripes, Diamond Mine Deluxe, Aztec’s treasure, Cleopatra’s Gold, and many other popular options!